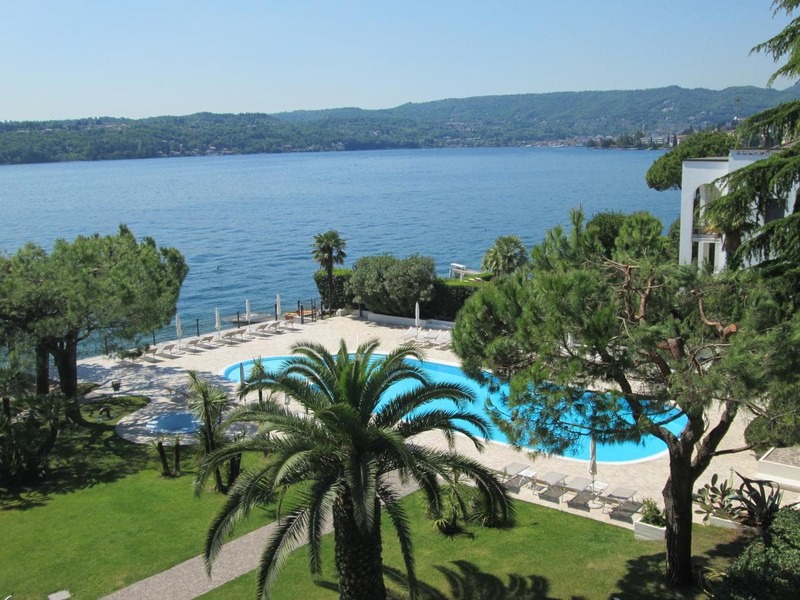 This elegant hotel overlooks Lake Garda, next to the port of Barbarano. You can relax in the lush garden and at the swimming pool with panoramic view. Spiaggia d'Oro has a fantastic location, set halfway between Salò and Gardone Riviera. It features a dock where you can sunbathe and from which you can depart on boat trips around the lake. Hotel Spiaggia d'Oro is an ideal place to relax. You can expect an attentive service from the family who runs this establishment. They can prepare personalised menus for special occasions. Each guest room is elegant and comfortable with wood flooring and a partial view of the lake. Most rooms feature a private balcony. Guests can enjoy free WiFi throughout, a Satellite LED TV, and air conditioning. The restaurant uses only the finest ingredients when preparing a delicious range of Italian and international dishes. Open at both lunch and dinner, the restaurant features a terrace, which overlooks the lake.